The 2003 box office hit Finding Nemo finally gets a sequel 13 years later, as we once again delve beneath the waves. This time the emphasis is on the lovable, but flighty blue-tang Dory. Forgetful fish Dory (Ellen DeGenerese) has found a home with Nemo and Marlin (Albert Brooks), but a strange recollection sets her off on a quest to find her parents. Soon the trio finds themselves an ocean away at the Marine Life Institute, and separated from each other. With the help of a rather mercenary octopus named Hank (Ed O’Neill), Dory explores the place where she grew up in hopes that it will trigger a memory so she can reunite with her family. Although not as tight a script as Finding Nemo, this certainly is a solid sequel. Delving into the back-story of Dory it gives the character a fair amount of depth, making her more than just the lovable eccentric of the first film. Instead her mannerisms are fleshed out and given reason. It’s a smart place to work from in terms of sequel. What could easily be the same events repeated with a few minor embellishments, is instead fleshed out into a character study of a beloved character. Thematically, the two films also share common ground, but do things slightly different. Where Nemo was to some degree about overcoming physical setbacks, Dory is about cognitive ones. It is a positive and timely message looking at coping strategies, and acceptance both from friends, family and yourself. Simple? Yes. It’s mental health 101, but it does stand as a good introduction of those issues and goes some way to de-stigmatising them for children. Where Dory does top it’s predecessor is in terms of emotional depth. Not only does it look at cognitive health, but also family (both by birth and the family you make for yourself). It really does sink its hooks in and tugs at the heartstrings. In part this is due to the excellent script, giving us those highly charged moments as Dory searches for her parents. Credit must also be given to the excellent combination of character design and actor. 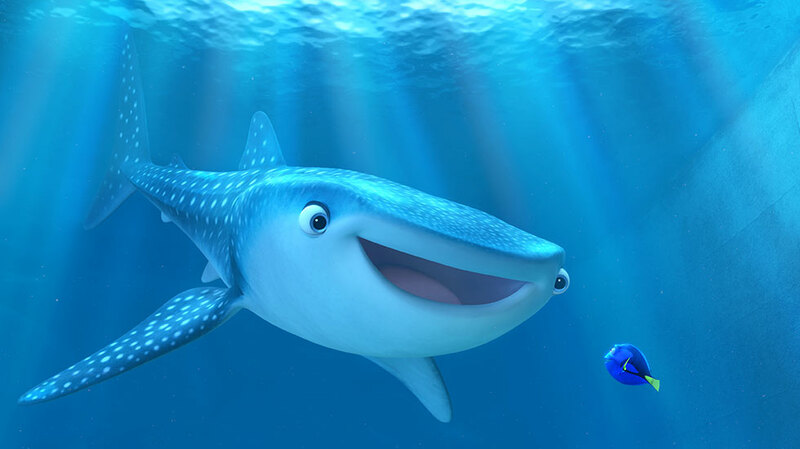 Dory is brought to life by the excellent Pixar animation, that allows for such emotive expressions to match with the exceptional voice work of Ellen DeGenerese. The quietness in her voice reveals an unexpected dramatic range. A fun and colourful sequel, with surprising emotional undercurrent. Dive in.